For the thirteenth consecutive year, North Cambridge Family Opera is presenting a program of science songs at the Cambridge Science Festival (April 12-21 2019). This year's production celebrates the 50th anniversary of the first moon landing. 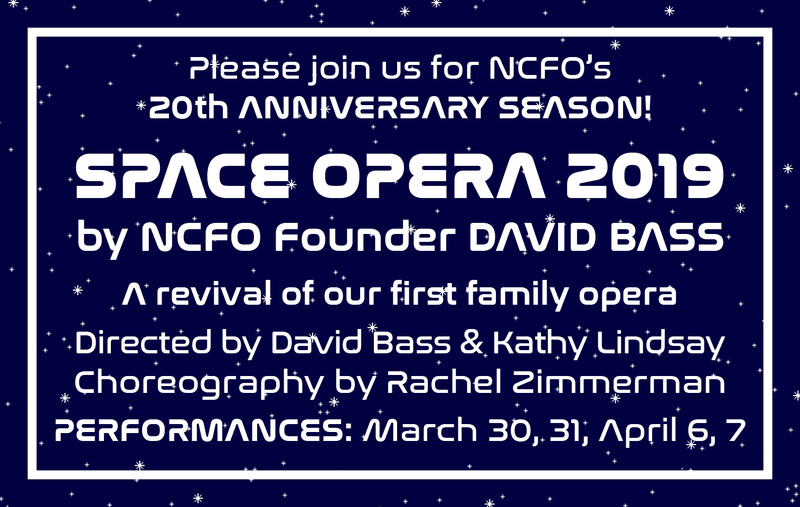 We will be presenting a program of twenty songs about the history, challenges, and potential destinations of space travel, including songs by eleven contemporary composers about animals in space, the exploration of Mars, and what happens as you approach the speed of light. We will also sing a medley of songs composed by Cambridge Public School students under the direction of David Haines and Andrea Gaudette, as part of their CPS Songwriting Workshops. The entire program will include an accompanying slideshow of song lyrics and children's artwork. Click here for demos of the music from One Whole Step for Man and information about the composers and lyricists who wrote it. And listen to/watch our 2017 performance of Singin' of the Rain and our 2016 performance of Giants of Science. Thanks to our cast, crew and audience for a fantastic production! With an inter-generational cast, in English with side titles. SEE WHEN YOUR FAMILY AND FRIENDS PERFORMED! We are always interested in hearing about new operas or entirely-sung musicals which might be suitable for our group. Please click here for more details of what we are looking for in the way of a "family opera."